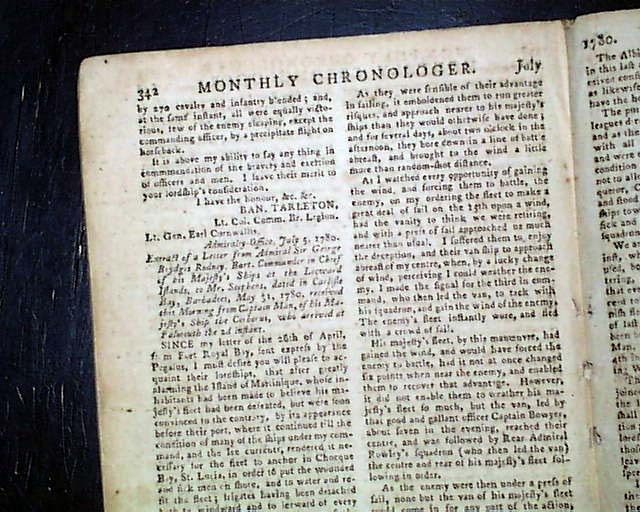 THE LONDON MAGAZINE, England, July, 1780 The most notable content would be the rather lengthy: "A Summary Account of the Voyage, Undertaken by Oder of Government, in his Majesty's Ships the Resolution and Discovery, Compiled from Authentic Papers & Revised by an Officer Returned from the Voyage...". 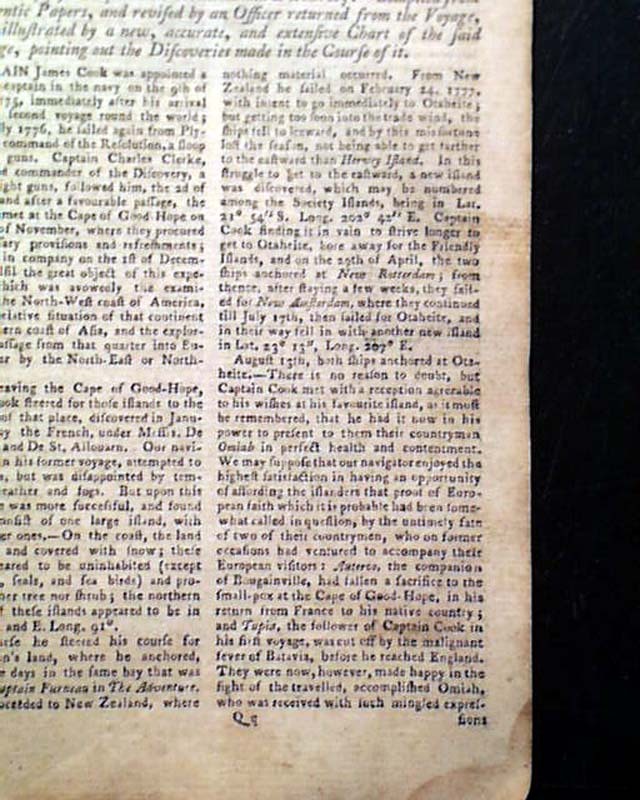 This narrative takes 5 1/2 pages & includes the report of the death of Captain Cook at the hands of the natives of Hawaii (see). 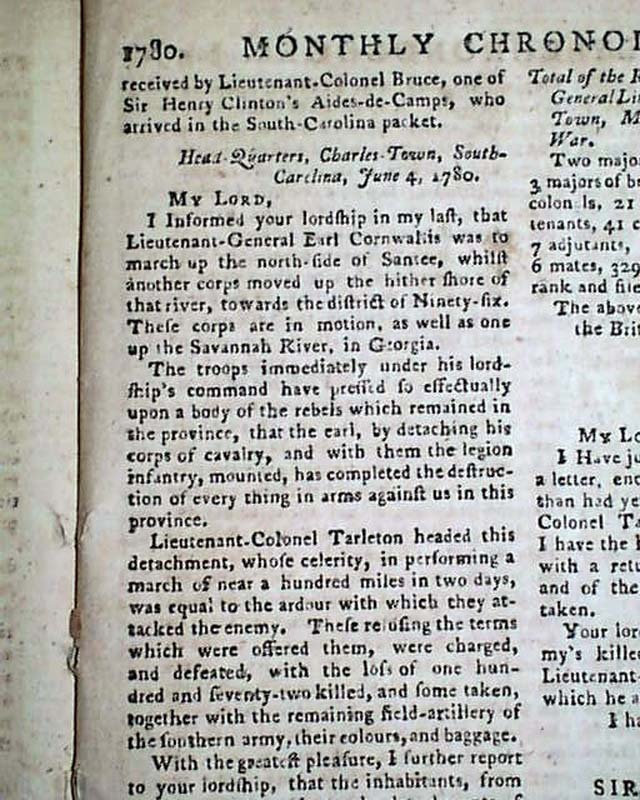 It also includes the report of the death of Capt. 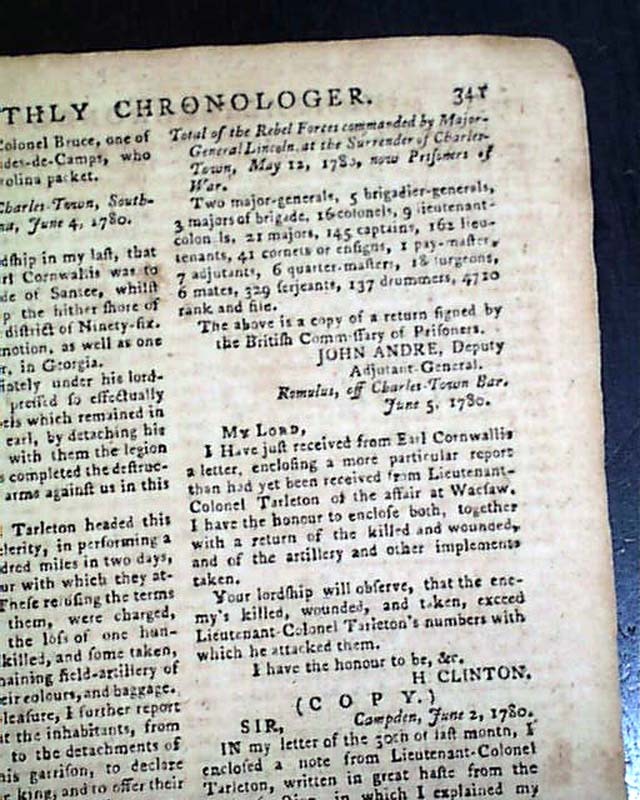 Clerke. 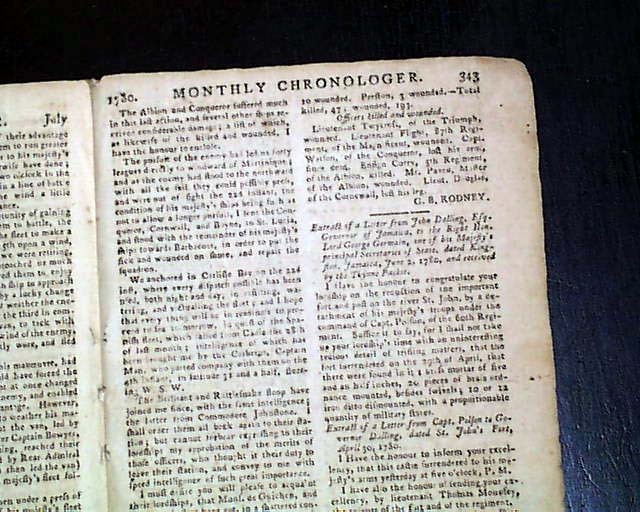 A curious issue as the voyage article is prefaced with a note dated Dec. 31, 1780, the end of the year. 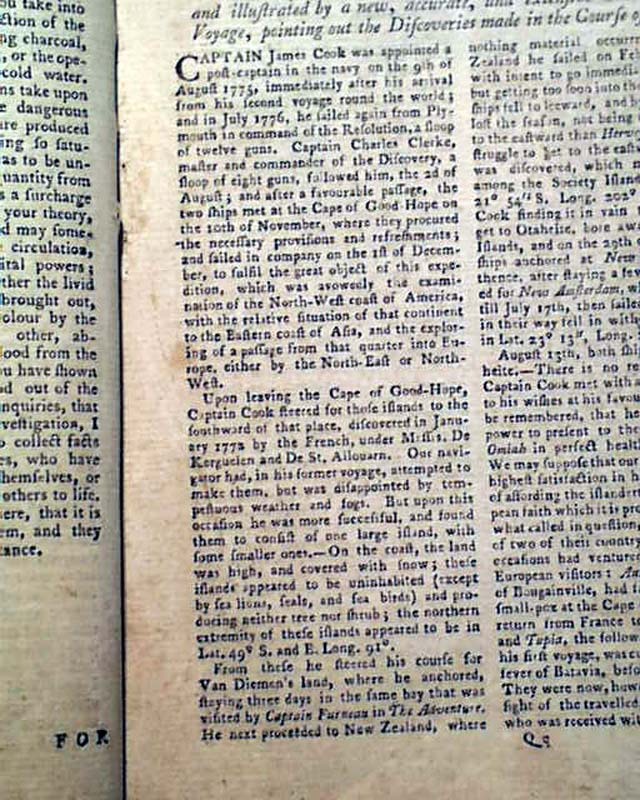 It mentions that the original article on the voyage was lacking various details, and that with the "...return of the ships [happened in October, 1780], through favour of an officer [James King: see Wikipedia] who, having performed the voyage, kindly undertook to set us right in some particulars which could not be made perfect while the voyage remained unfinished. 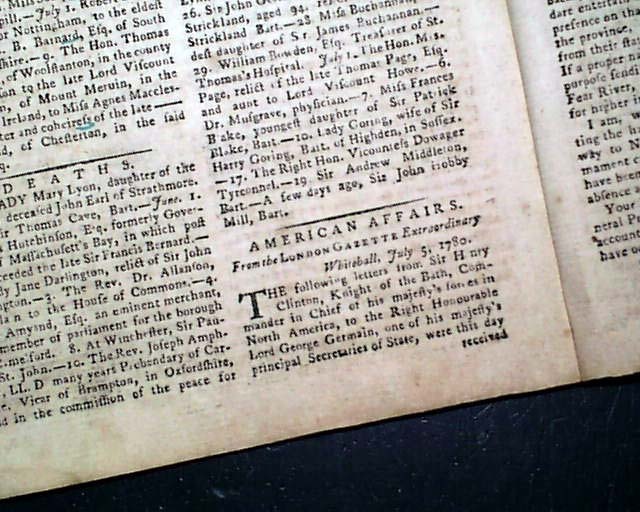 And that the republication might not occupy the place of new articles it is given in an extra half sheet--by which means the purchasers of the July Magazine may have it in their power to substitute this corrected account and chart for the other." And this was done. 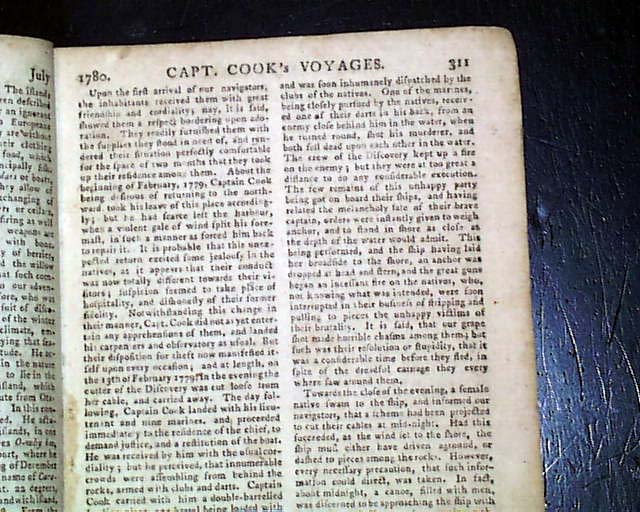 The original article intended for this issue is not included (note the title/contents page says the title was to have been: "A Narrative of the Still Unfinished Voyage...". 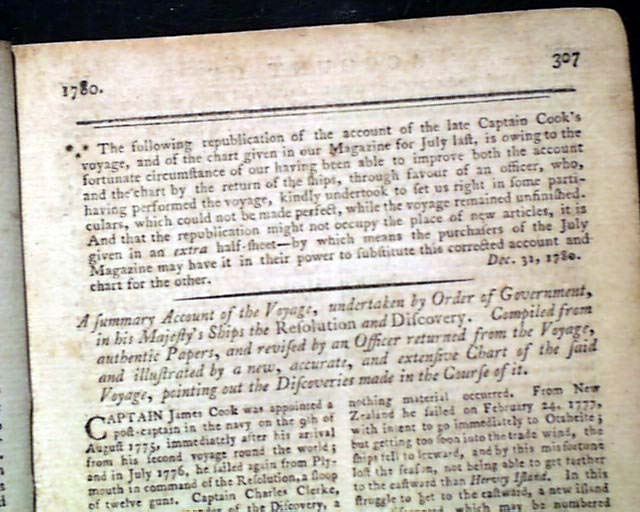 And that Page 307 with the revised article was to have begun with the word "For", which is actually the first word of the article following the voyage article. 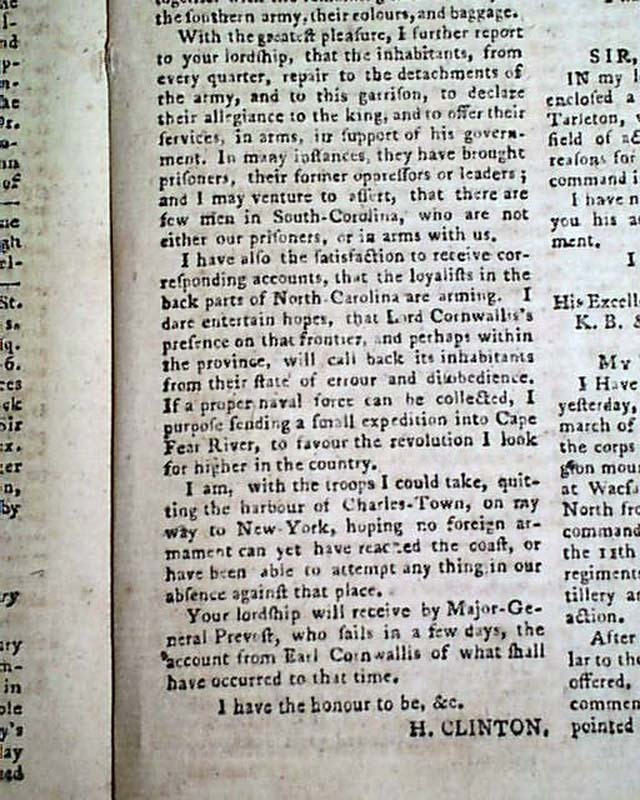 Near the back is some nice content concerning the battle of Waxhaw in South Carolina with letters signed by H. Clinton and Cornwallis s well as a rare dispatch signed by John Andre, just 4 months before he would be hanged for his treasonous affair involving Benedict Arnold (see). 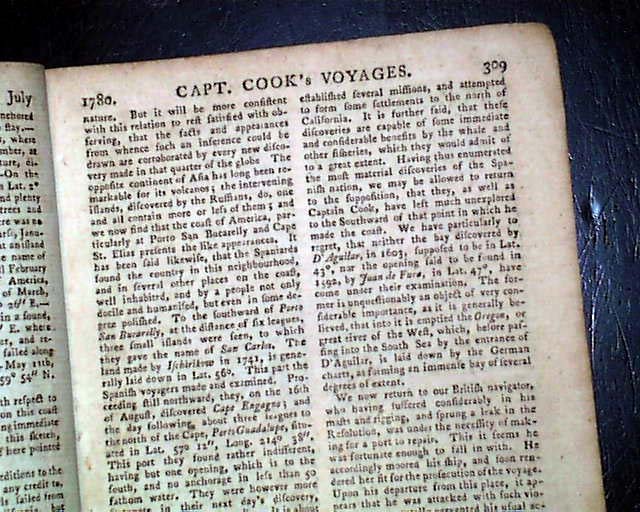 The chart concerning the travels of James Cook is lacking from this issue. 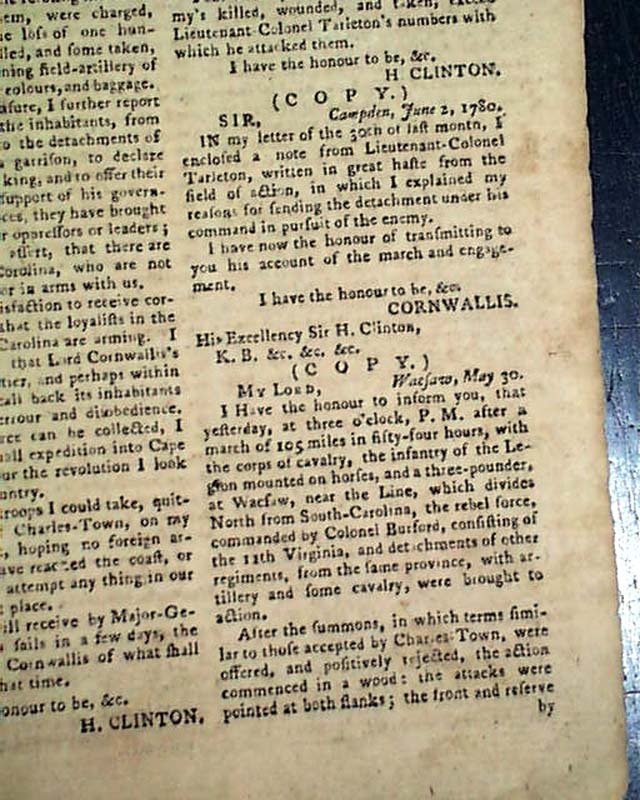 Complete in 48 pages, 5 by 8 inches, bit close-trimmed at the right margin of the first leaf only, not affecting any text. Very nice condition. 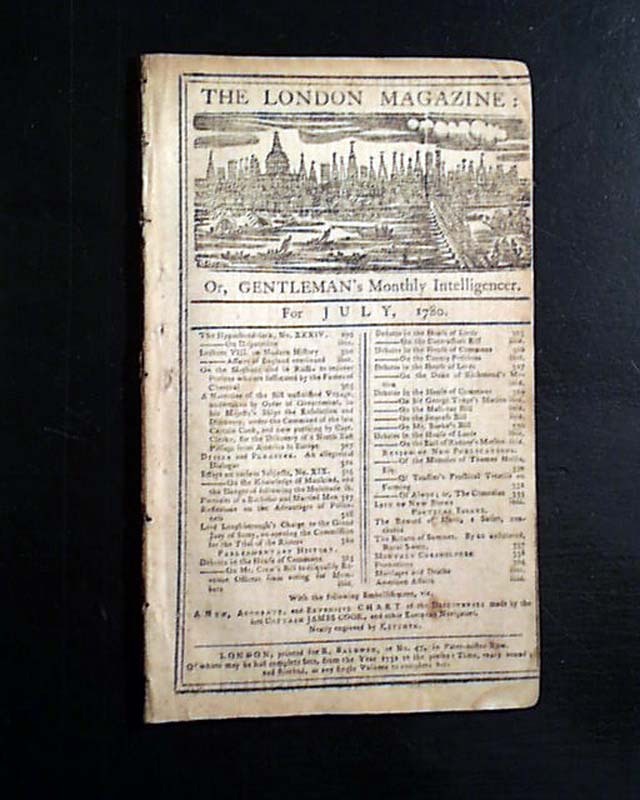 This magazine was formatted very much like the much more common Gentleman's Magazine but the title page has a great & very detailed engraving of the skyline of London.